Sometimes, history is beyond our comprehension and imagination. 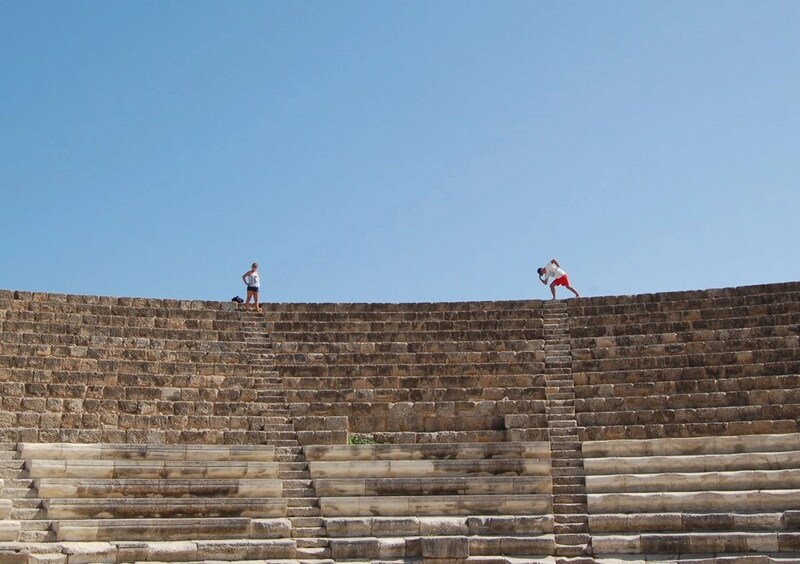 As emerging technologies allow us to accurately age artefacts and human remains, it is difficult to ride back through time and truly imagine the ancient gymnasiums and theaters that still influence our modern builds. Salamis reveals so much of our past but it is a little like seeing three-quarters of a puzzle with many of the colourful and important pieces missing. I wonder if, in a thousand years, whether any of these places will still exist, and what our generation’s legacy will be? 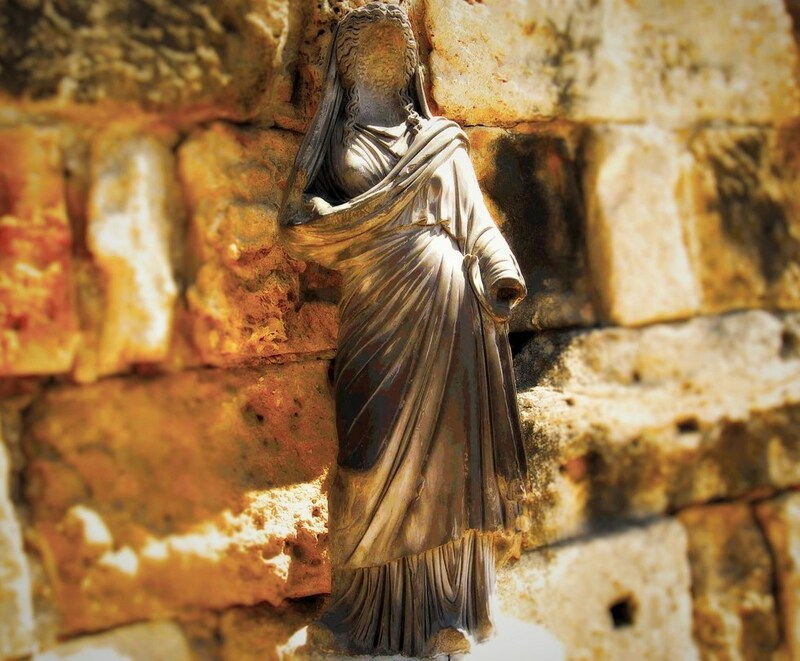 After passing through border control at Vrysoulles, where even hire cars from the south side of the island are now permitted over the border, the road passes through a bustling and ancient Famagusta and out into a sparse landscape. It is a very smooth road bordered by casinos and house designs that are somehow different yet all the same. It is stretch of tarmac overlooked by mountains, tempting travellers to scale their peaks and dive down to the north coast that faces Turkey. Only 15 minutes from Famagusta, Salamis sits next to the ocean baking anyone that dares to enter its confines. Our first tip – before purchasing a ticket for 9 Turkish Lira or 3.50 Euros – is to make sure you have lotioned up! Walking around these ruins (like all Mad dogs and Englishmen) is not for the feint-hearted with sunglasses and factor 30 an absolute must. Also, take plenty of water. There is a cafe half way round, but I guarantee that you will be so engrossed in the magnificence of what has remained for so many centuries that you will want to stand, swig and admire. 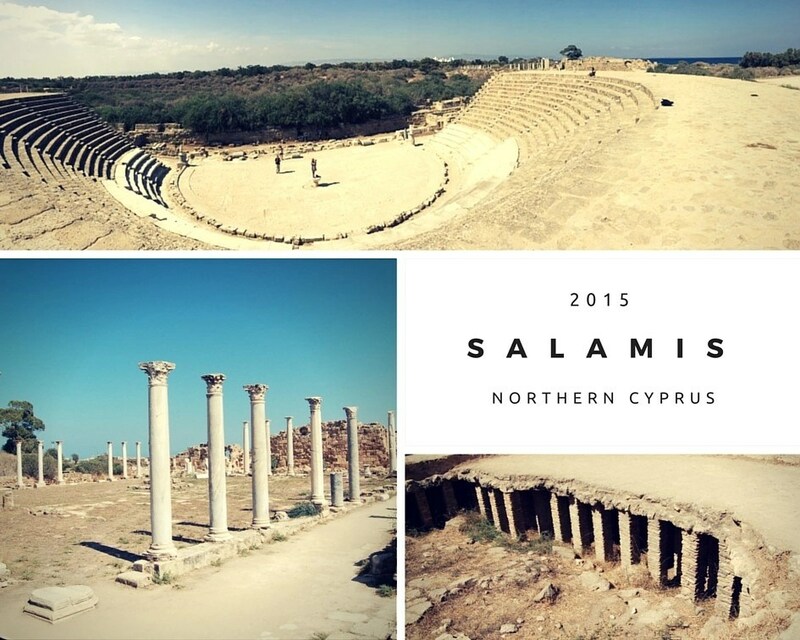 Like Cyprus itself Salamis has hosted many different races and cultures, and yet somehow amongst the wars and slaughter it has weathered, the ruin still reminds us of our ancestors and the many skills they passed down through the ages. The ticket office provide you with a leaflet which has a map of the gymnasium, amphitheatre and theatre, but before you enter the ruins a map outside the walls illustrates not just what is inside, but also the royal tombs a few miles up the road, and the monastery of the man who founded the Cyprus Orthodox church, St Barnabus. From here you make your way through a small entrance to a number of headless and faceless statues removed by one of the many conquerors of the island. If these forces could kill a quarter of a million Greeks, what chance did their heritage stand? Many historical places of interests are either buried underground, restored to their former glories or converted to something more modern. This is a feature of visiting Northern Cyprus: mosques sit opposite churches or the ancient buildings have been converted for worship like St Nicholas’ church in Famagusta. Bizarrely, the square of statues in the entrance to the ruins of Salamis are actually part of an ancient toilet, which is one of two on each corner of the colonnade. This is not obvious on the map, and it is refreshing that those behind the creation of the leaflet leave the visitor to work this out for themselves. Whenever I see any theater, I think of Shakespeare and The Globe in London. As you stand in the center of the arc of seats (expensive ones at the front – well, they did look more comfortable ) and begin to recite the first lines of Macbeth you can hear the acoustics that lend themselves to a more intimate performance. So, why did we think that the O2 in Greenwich would ever be a decent concert venue? Shows are supposed to be intimate even if they are raucous, and anything less may as well be watched on TV. Here, running all the way back to the years just after Christ’s death, we have the template for theatres everywhere, and, it would be wonderful (as they do in Cornwall’s Minack Theatre) to attend a performance at Salamis to see how just how effective our ancestors were at creating venues for this kind of entertainment. We always like a challenge! Next Article Daxifest 2015 – Artists raise money for great causes.